Looking for a great course to take a hit? 20 minutes from the tourist resort of Daylesford and Hepburn Springs is the picturesque Trentham Golf Club. 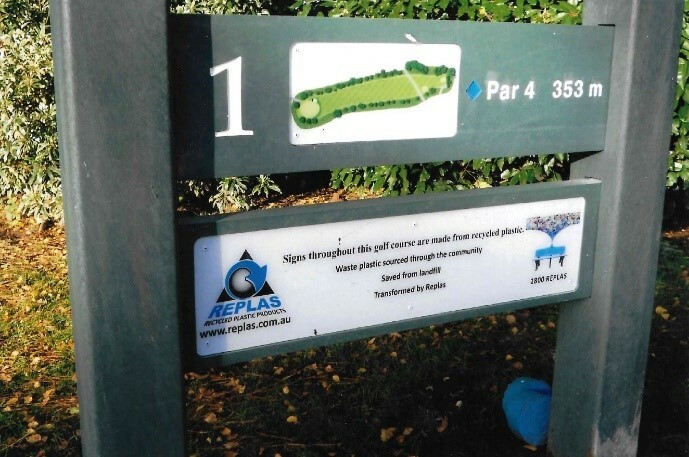 The course has a beautiful setting, a great mix of holes and has recently updated their tee signs with Replas. Trentham was looking for high quality signage, deciding on our Plank Sign for its durability and incredible low-maintenance. Replas signage can be customised to your liking, creating a clear and aesthetically pleasing sign which conveys all the necessary information. A lower plank can be used as a clever advertising opportunity for club or business sponsors.